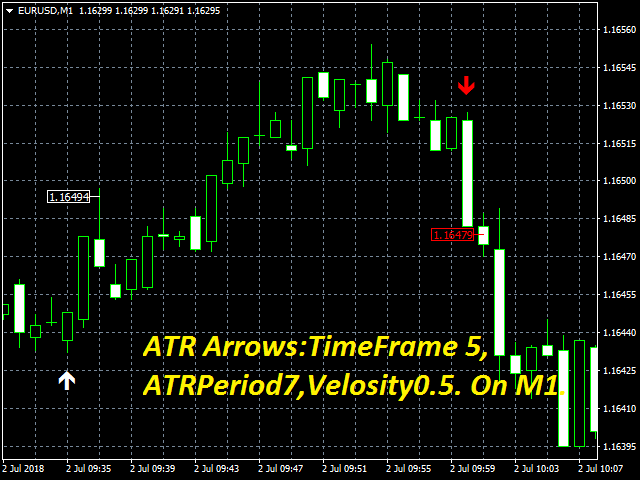 The ATR Arrows MTF indicator is built based on the Average True Range (ATR). 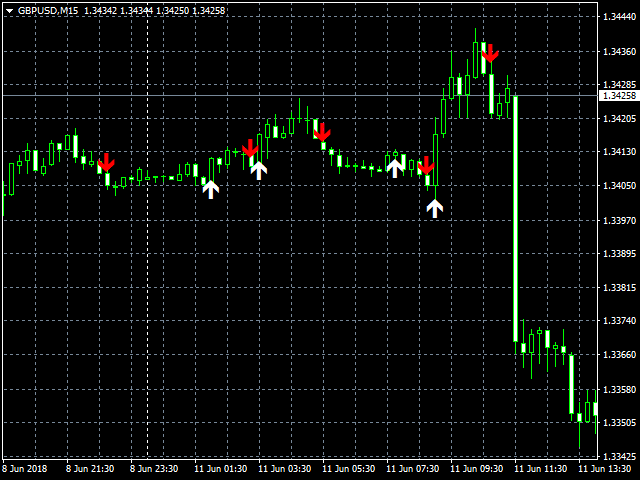 It provides entry signals as arrows. All signals are generated at the current bar. Signals are not redrawn! 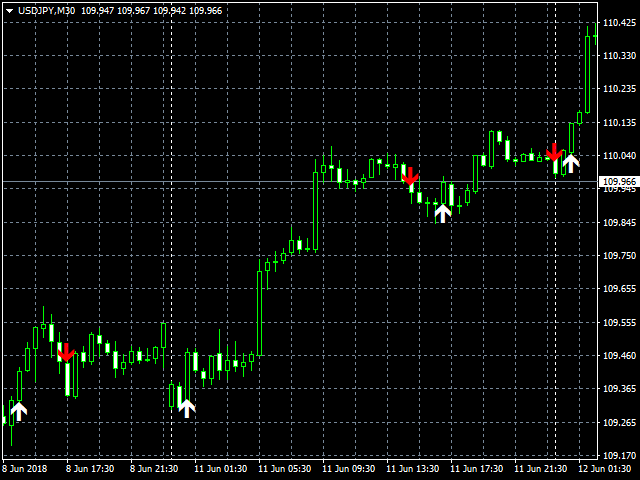 It is very easy to use both for trading based on one indicator and for use in your trading systems. 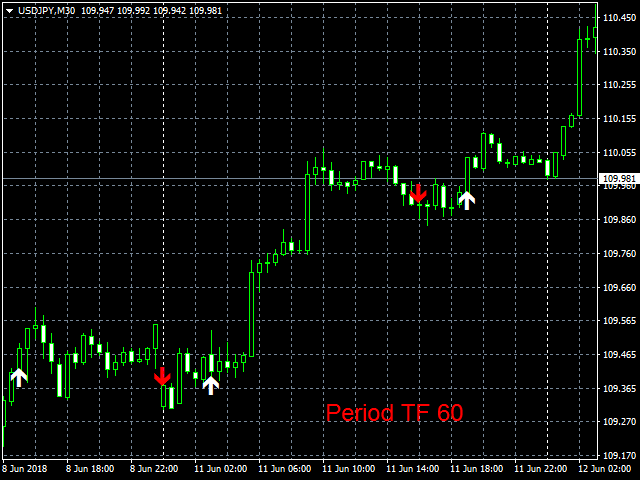 The indicator timeframe can be set independently of the main window, so you can combine several indicators in one window. 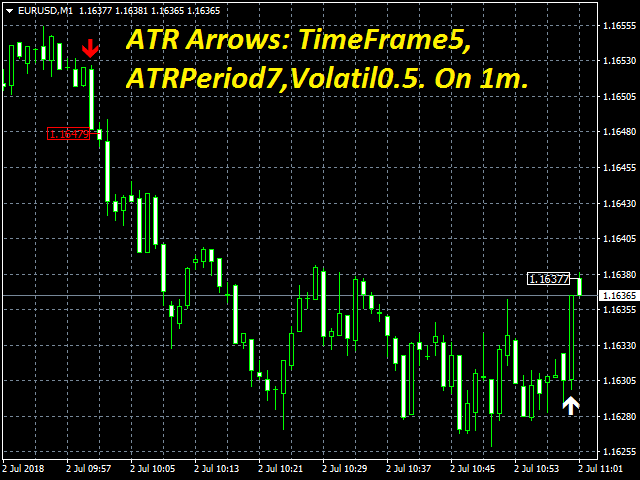 To test the indicator possibilities, use the following demo version: ATR Arrows MTF Demo. TimeFrame - The period for calculating the data. ATRPeriod - Period Average True Range. ArrowUP - Color Arrow and Price Tag. ArrowDN - Color Arrow and Price Tag. ArrowGap - Indent from the price to display the arrows. CodUP - Type of displayed arrows. CodDN - The type of arrows displayed. ArrowSize - The size of the arrows displayed. SignalPrice - Select true to form a price tag on the bar. AlertsMessage - Select true / false to receive messages on the terminal screen. AlertsSound - Select true / false to receive an audio message. AlertsEmail - Select true / false to receive notifications by email. AlertsMobile - Select true / false to receive push messages. AlertsOnCurrent - Delay on signal, true to get Alerts on 0 candle. SoundFile - Type of sound file. 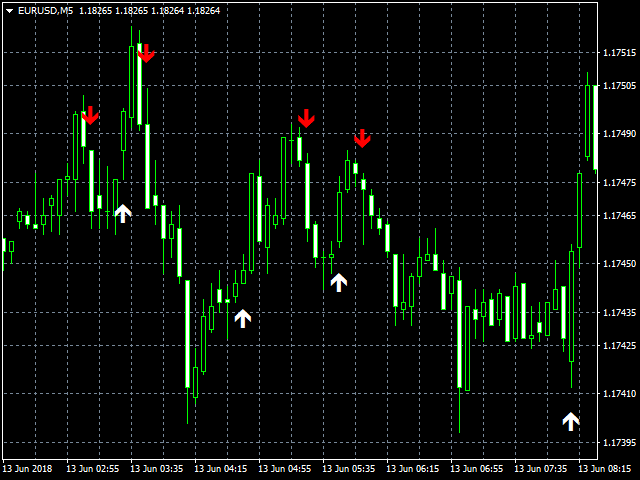 Best Arrow indicator, which you can adjust to your trading style. Signals non repainting from a higher timeframe on the current bar, amazing. Hoping the price remains fair. This is the only open bar, Arrow indicator that shows the exact entry spot on the bar. Seller responded to all my questions. Good indicator, author is helpful & responsive with question. Corrected the work of Alerts and PriceBox Functions. The new version of the indicator takes into account the wishes and comments of users. that match your manner of trading. Added a new, smoothed version of the indicator. Algorithm of calculation is changed.